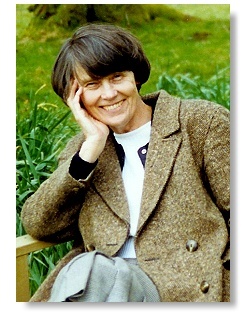 Patricia Morley MB, BS, DMRD(Edin. ), FRCR, FRCP(Glas. ), was born in Bearsden on 19th July 1929. Pat Morley made an immense contribution to radiology especially ultrasound. Her extensive pioneering role and major commitment greatly benefited patient care, changed the practice of radiology and attracted much international acclaim. Pat moved to Kent with her family when young. Qualifying in medicine in 1953 at Westminster Hospital, London where she gained a scholarship. She then joined the Royal Navy - among the first female doctors to be a Surgeon Lieutenant RN. There she first met Neil, a Surgeon Lieutenant RNVR, and her future husband. They later moved to Edinburgh where Pat trained as a radiologist. In 1963 Pat moved to Glasgow and began to look for a post in radiology. At that time the late Professor Ian Donald, that brilliant pioneer in medical ultrasound, was very much in need of a young radiologist to be fully committed to clinical ultrasound. Pat was the ideal person, she joined the Radiology Department at the Western Infirmary, Glasgow, and an outstanding partnership began. Pat quickly became immersed in medical ultrasound achieving remarkable results in this new field. To many the interpretation of these early scans required much constructive imagination and was often open to ridicule. Pat, seeing the potential of ultrasound, remained committed and single-minded, often working to the 'small hours' and overcame many difficulties. Her many publications, along with her colleague the late Dr Ellis Barnett, soon gained recognition and the sceptics were won round. Their textbook "Clinical Diagnostic Ultrasound" with subsequent editions has been the leading authority for many years. Added to this she was in much demand as a keynote speaker. Her reputation attracted many visitors from the UK and overseas to the Department and to attend training courses in Glasgow. As a young radiologist she received the Couch award from the Royal College of Radiologists for the best paper by a junior doctor and in 1980 she was made a Fellow. From 1982 to 1984 Pat was President of the prestigious British Medical Ultrasound Society. One of her lasting influences was to initiate the establishment of the Society's Historical Collection to which, following her retirement, she donated her very large library of ultrasound books and papers. As Chairman of the Scientific Committee she contributed enormously to the highly successful 1982 meeting of the World Federation of Ultrasound in Medicine and Biology in Brighton. Pat's pioneering role and her hard work for BMUS was recognised in 1994 when she was made an Honorary Member, an honour also bestowed on her by the American Institute of Ultrasound in Medicine. Patricia Morley was an 'accomplished' lady - appearing perhaps austere and sometimes direct at first meeting - she was always determined in resolve, of independent mind and sincere in her motives but nonetheless she had a witty sense of humour and a glorious smile. In her free time Pat had varied interests including gardening, ornithology, wild flowers, flying (she once had a pilot's licence) and cooking, but was happiest in her large garden at Boquhan with Neil, their four children Carolyn, David, Alistair and Christopher and friends. Sadly Alzheimer's disease marred her last few years during which she was lovingly cared for by Neil and her family and later at Bannockburn Hospital. She passed away on 2nd February 2003. Reproduced with permission from an obituary of Dr. Morley by Dr J K 'Jake' Davidson and John E E Fleming.